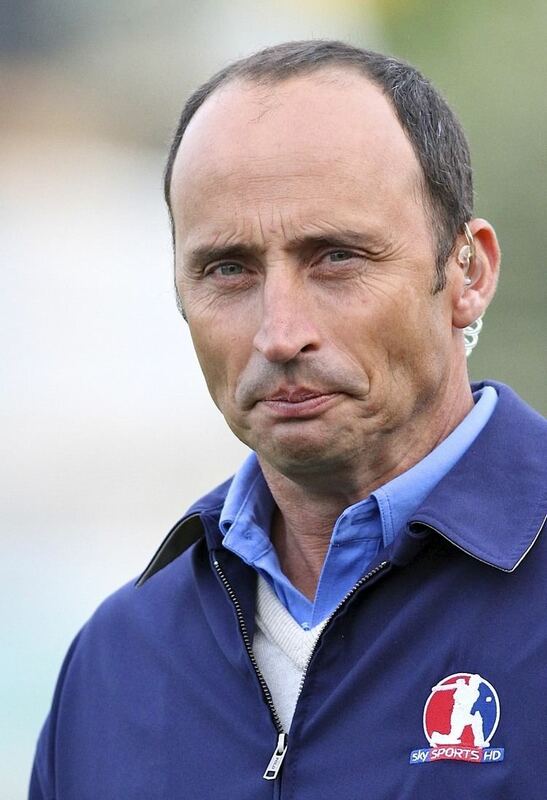 Nasser Hussain OBE (born 28 March 1968) is a former cricketer who played for Essex and England between 1987 and 2004. A pugnacious right-handed batsman, Hussain scored over 30,000 runs from more than 650 matches across all first-class and List-A cricket, including 62 centuries. His highest Test score of 207, scored in the first Test of the 1997 Ashes at Edgbaston, was described by as "touched by genius". He played 96 Test matches and 88 One Day International games in total. Born in Madras in India, Hussain was led into cricket by his father, and his family moved to England when Hussain was a young child. He joined Essex in 1987 after developing from a spin bowler to batsman while at school and playing for the various Essex youth teams, as the leg-spin of his youth deserted him. He was selected for England initially on the back of 990 runs scored for Essex in the County Championship of 1989, though injury and poor form would limit his international caps during the early 1990s to three Tests of a 1990 West Indies tour, and four further matches in 1993. Only in 1996 did he become a regular England Test cricketer. Although regarded as somewhat of a firebrand in his youth, Hussain succeeded Alec Stewart as captain in 1999 and led England in forty-five Test matches until resigning in 2003. Overseeing four consecutive Test series victories and Englands rise to third in the Test rankings, Hussain is regarded as one of Englands most able captains. Simon Barnes of wrote that Hussain was "perhaps the finest captain to hold the office." After resigning the captaincy, Hussain played on in Test cricket until the debut Test of future captain Andrew Strauss – the ability of whom was witnessed by Hussain who scored a century in the same match – and growing calls for him to leave the team, prompted him to yield his position and retire. He joined Sky Sports as a commentator shortly thereafter. His 2005 autobiography won the Best Autobiography category of the 2005 British Sports Book Awards. Hussain was born in Madras, India. His father, Raza Joe Hussain, was Indian and a keen cricketer, his mother was English. As a child, Nassers first experiences of cricket were family visits to Chepauk, where his younger brothers Mehriyar Mel Hussain – who would go on to play briefly for Worcestershire – and Abbas used to bat on the outfield while he chased after the ball. His father moved the family to England in 1975. Hussain recalled in his 2005 autobiography that the family gave up a "prosperous life" in India – where the family were comfortable – in order to obtain for the children the benefits of the English educational system. The family moved to Ilford, and Hussain later took charge of the indoor cricket school in Ilford where he used to bowl for hours on end at his elder brothers. He was a talented leg-spin bowler, and with his ability starting to show, at just eight years old, Hussain was selected to play for the Essex Under-11s, and at 12 years old and was the youngest to play for Essex Under-15s. He meanwhile continued his education at Forest School, Walthamstow. At the age of 14 Hussain was selected to play for England Schools where he first came into contact with his friend and future England colleague Mike Atherton. Born five days apart, Hussain and Atherton soon found their careers progressing in parallel as they captained, batted and bowled legspin for England age-group teams. As well as Atherton, who was considered the "Golden Boy" of the North at the time, Hussain played with and against others such as Mark Ramprakash, Graham Thorpe and Trevor Ward. At the age of 15, and captain of England Schools, Hussain "grew a foot in height in the winter" and the trajectory of his bowling was altered. He recounts "I went from bowling out Graham Gooch in the indoor school with everyone watching, to hitting the roof of the net or bowling triple-bouncers to deadly silence." Hussains father initially refused to accept that his son couldnt bowl to the previous high standards and continued to push him into bowling, while Hussain, full of frustration at his sudden loss of ability felt he was letting his father down. Concerns over his fathers expectations of him would continue throughout Hussains career, as he related in his biography after retiring. After the loss of his bowling Hussain dropped behind his contemporaries; Atherton, Ramprakash and Martin Bicknell all began receive professional county contracts while Hussain was not being selected for representative games and England tours. Hussain switched to batting while he was still captain of Essex under-16s and moved himself up the order to get more runs and to bowl less. His batting progressed, and in that year he became the first under-16 at Forest to score 1000 runs in a season since 1901. Hussain himself admitted that batting never came as naturally to him as leg-spin bowling. Throughout his career he batted with little left elbow and plenty of bottom hand, and backed-up with the bat in his right hand. While continuing with his cricket, he also studied Natural Sciences at the University of Durham – a strong cricketing university – where he belonged to the College of St Hild and St Bede. He graduated in 1989 with a Bachelor of Science (BSc) degree. Hussain was subsequently not picked for the next three years. Hussain was also regarded as a bit of a hot-head, and his fiery temper briefly jeopardised his prospects of an international career. At Essex Hussain continued to score runs and impress his county colleague and England captain Graham Gooch enough to have a Test reprieve. So at the 3rd Ashes Test of 1993, Hussain joined an England team. Hussain scored 71 and 47 not out, which was enough to see him selected for the rest of the series. 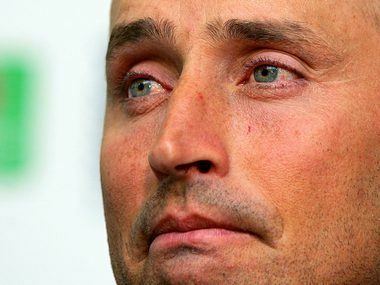 It was however not enough to secure his place for the subsequent winter tour, nor for that matter the next three years of Test matches. Hussain was picked again for a Test series against India in the summer of 1996. The number 3 batting position had been troublesome for England for some time. England had tried all manner of combinations at No.3, from the left-field Jason Gallian to the veteran Robin Smith, via the temperamentally suspect pairing of Graeme Hick and Mark Ramprakash. "A lot is made of your batting position," Hussain recalled to Cricinfo, "but I always felt, and I did back then when David Lloyd rang me up and asked me to bat No.3, that if youre good enough to be playing Test cricket, you should be good enough to move from No.5 to No.3". Hussain scored 128 in the first innings. Hussain was awarded Man of The Match and with another century in the last Test that summer was awarded Man of the Series. Hussain was the captain of the England team for 45 Test matches from 1999 to 2003; as of 2013 the third most for an England captain and the fourth most Test victories as England captain, with 17, his percentage of Tests won was higher than any of the previous five captains. Within hours of Hussain announcing his retirement from cricket, it was confirmed that he would join the Sky Sports commentary team on a full-time basis alongside other former England captains Bob Willis, David Gower and Ian Botham and his former England coach David Lloyd. "We now have the most experienced line-up ever seen in a commentary box," said Vic Wakeling of Sky. "Four former England captains with over 400 Tests, 20,000 runs, and 700 wickets between them – and each is a former Wisden Cricketer of the Year." In August 2011, in a match between India and England, comments made by Hussain against the Indian side created a stir among some cricket fans: "I would say the difference between the two side is the fielding. England are all-round a good fielding side. I do believe that India have few... 3 or 4 very good fielders and one or two donkeys in the field still." In 2004, Hussain released his autobiography, Playing with Fire. It won the Best Autobiography category of the 2005 British Sports Book Awards.